The Fraud Film Festival will deliver two full days of films and documentaries about fraud and its prevention, followed by live discussions, to inspire awareness and debate around these issues. While New Zealand has consistently become known as one of the least corrupt countries in the world, the reality of fraud and its impacts may not always be as we have perceived it. The aim of the festival is to increase public awareness about fraud and foster cross industry collaboration in the fight against it. On Friday 2nd of March, the event is by invitation only. On Saturday 3rd of March, the festival is open to the public and all are welcome to purchase tickets. The mission of the Fraud Film Festival is to stimulate and increase awareness about the impact of fraud by bringing together different networks from the public and private sectors, and showing inspiring documentaries to stimulate debate and awareness. During the Fraud Film Festival, the phenomenon of fraud will be scrutinised in various contexts. The winner of the Anti-Fraud Award 2018 will also be announced. Fraud is big business. The earnings are high, as are the risks. By showing films and documentaries and engaging in conversations, this complex and intriguing subject will be brought to the attention of a large audience. New Zealand International Fraud Film Festival Inc is an incorporated society dedicated to the organisation of the Fraud Film Festival. The Fraud Film Festival is affiliated with the Dutch Fraud Film Festival, which was first held in the Netherlands in 2014. AFTER OBSERVING THE 2-DAY FESTIVAL FIRST HAND IN AMSTERDAM, WE THOUGHT IT WOULD BE A GREAT IDEA TO STEAL IT. IRONIC. As soon as the concept was shared with a handful of the key industry players here in NZ, all parties quickly agreed we should definitely do this! The response from those hearing about it for the first time was consistent “A what?….a Fraud Film Festival?…” Opening up the world of Financial Crime to New Zealanders via the silver screen was too good an opportunity to miss. This concept, proven in the Netherlands, would require a group of like-minded partners to make this event possible. The response was overwhelmingly positive, with all partners quickly seeing that this was a real opportunity for public and private sector organisations to work together and amplify awareness about fraud across New Zealand. We ran the inaugural NZ event at the end of 2016, which saw more than 400 New Zealanders experience something exciting and new. The feedback was so good that we were compelled to run another event this year. As we have worked on the production of the 2018 festival, the partners have continued to challenge one another to produce an event that will be stimulating and relevant for New Zealanders. This year’s themes are corruption, technology and dishonesty – subjects that regularly feature in our news and conversations. We have selected quality documentaries for you with heavy hitting panels that will share insights into the various flavours of financial crimes that take place here in NZ. Our thanks go to the partners who gave significant financial support, and many hundreds of hours of energy, our Programme Director Steve Newall and Festival Project Manager Joss Drummond. We could not have contemplated the event without the support of the Fraud Film Festival Foundation in the Netherlands. We trust you will make the most of this opportunity to learn from the key players in this industry, at the splendid ASB Waterfront Theatre, participate in some real discussions and forge future partnerships so that we can face fraud together. Please, take your seats and have some fun! NZ International Fraud Film Festival Inc.
A Festival that wishes to inspire, needs an appropriate setting. That is why the Fraud Film Festival takes place at ASB Waterfront theatre. There will be limited $10 all day parking available at Hamer St on Saturday 3rd March. This will be open from 10am until 30 mins after the final session of the day. Parking can be pre-booked through the theatre. Corruption typically occurs where someone has been entrusted with power and has abused it for personal gain. We have seen it happen recently in the context of sporting and cultural organisations in the form of nepotism, drugs and bribery and throughout 2017 we have seen allegations of corruption occurring at the highest levels of political office the world over. We examine the pervasive effect that corruption can have on some of our most valued and important institutions. As the way we use and interact with technology has changed and evolved over time, so too has the exploitation of technology in fraud and other criminal activity. As long as we have had computers, there has been abuse of computers and their technology, and this is becoming increasingly pervasive, as we connect with more people, through more devices than ever. As more of our lives exist online, from social media to personal banking, and emerging technologies such as cryptocurrencies become more widespread, our data is increasingly vulnerable to cybercrime attacks. These could range from breaches of privacy and identity theft through to digital piracy and money laundering. We look at the impacts of increasing digitization, and the resulting evolution of cybercrime. Dishonesty itself is not uncommon, but for a small percentage of people, it forms a core part of how they operate on either a personal or professional level. It also underpins a majority of criminal offences relating to fraud and strikes at the heart of the trust required for basic human interactions to take place. Such people seek financial gain through pulling people into money-making scams with promises they have no intention of meeting, others purport to be someone they are not and some simply make claims that are false. We look at the complex impact that dishonesty has on our lives and everyday society. About: In 2012, Rita Crundwell was arrested as the largest municipal fraud perpetrator in US history, embezzling upwards of $50 million as the comptroller and treasurer of Dixon, a city in the heart of Illinois. She used the funds to build one of the nation’s leading quarter horse breeding empires, all while forcing staff cuts, police budget slashing, and neglect of public infrastructure. The film investigates her crime, her lavish lifestyle and the small town she left in her wake. 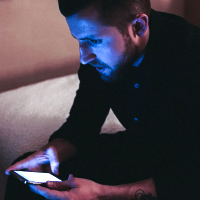 About: A VICELAND documentary series in which reporter Ben Makuch travels the world to meet with hackers, government officials, and dissidents to investigate the ecosystem of cyberwarfare. Two episodes will be shown. The Sony Hack: Sony Pictures was hacked and the U.S. blamed North Korea. But the government’s evidence wasn’t all that convincing, and many hackers and computer experts still have doubts. The Ashley Madison Hack: After Ashley Madison, a hook-up site for married people, got hacked, its users weren’t the only ones exposed – turns out the cheating site may have been cheating its own customers. About: Bitcoin is the most disruptive invention since the Internet, and now an ideological battle is underway between fringe utopists and mainstream capitalism. 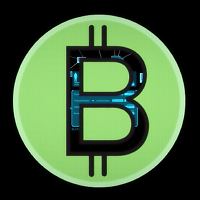 The film shows the players who are defining how this technology will shape our lives, exploring Bitcoin’s roots, its future and the technology that makes it tick. The great Robert De Niro is America’s most notorious real-life Wall Street fraudster – Bernie Madoff – in this dramatisation of Madoff’s deceptions, lies, and unsuccessful cover-up before his fall from grace. In a Golden Globe-nominated performance, Michelle Pfeiffer plays Ruth Madoff, whose life comes crashing down along with the Ponzi scheme of her husband…. The great Robert De Niro is America’s most notorious real-life Wall Street fraudster – Bernie Madoff – in this dramatisation of Madoff’s deceptions, lies, and unsuccessful cover-up before his fall from grace. In a Golden Globe-nominated performance, Michelle Pfeiffer plays Ruth Madoff, whose life comes crashing down along with the Ponzi scheme of her husband. Oscar-winner Barry Levinson directs, based on the non-fiction book of the same name by Diana B. Henriques. Thanks to the team at HBO® and SKY’s SoHo. The Wizard of Lies © 2018 Home Box Office, Inc. All rights reserved. HBO® and all related programs are the property of Home Box Office, Inc. The Fraud Film Festival is proud to screen 2018 Oscar Best Documentary nominee Abacus: Small Enough to Jail. The film follows the prosecution of a small New York neighbourhood bank serving the local Chinese community, even though the bank had itself alerted authorities to fraud being committed by an employee. This captivating documentary from the director of Hoop Dreams suggests the bank was targeted because it was small enough to prosecute, compared to those responsible for the sub-prime mortgage collapse in 2007-08. Director Steve James will find out on March 5, NZ time, if his film has won the Academy Award. A billionaire investor is an unlikely heroic champion of the people in Betting on Zero. The documentary shows how hedge fund titan Bill Ackman used the resources at his disposal to take on nutritional supplements purveyor Herbalife, a publicly traded company that Ackman accused of being a pyramid scheme. Aiming for a victory in both moral and monetary senses by shorting stock in the company, betting it would collapse under regulatory scrutiny, Ackman attracts the ire of a rival activist investor. Carl Icahn (who uncoincidentally was an existing adversary of Ackman’s) enters the fray to thwart his plan. As the pair wage a battle over Herbalife’s stock price, Betting On Zero highlights the power of ethical investment and fraud on the broadest corporate scale. 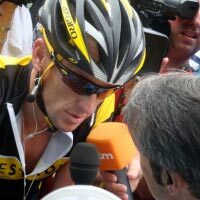 In 2009, Oscar-winning documentary-maker Alex Gibney (Taxi to the Dark Side; Enron: The Smartest Guys in the Room; Going Clear) set out to make a film about Lance Armstrong’s comeback from retirement. But the wheels fell off what Gibney had thought would be a wholesome tale of redemption, and he shelved the film when doping allegations surfaced – dust that would never settle. As Armstrong’s doping, bullying and lying became evident, Gibney sat down with Armstrong just three hours after his infamous Oprah Winfrey confession to probe the disgraced athlete’s motivations and self-justifications, and put the psychology of deceit under the microscope. The remarkable result, The Armstrong Lie, depicts the seeming unrepentance of a highly competitive man, whose ability to con the planet seemingly provided similar thrills to being world champion. At the conclusion of the film, a former team mate of Lance Armstrong’s – Kiwi Tour de France cyclist Stephen Swart will take part in a Q&A on stage, talking about how he helped expose Lance Armstrong and impact it had on him. 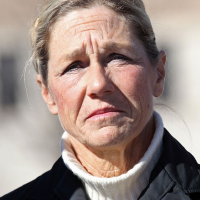 All the queen's horses 80 mins In 2012, Rita Crundwell was arrested as the largest municipal fraud perpetrator in US history, embezzling upwards of $50 million as the comptroller and treasurer of Dixon, a city in the heart of Illinois. The film investigates her crime, her lavish lifestyle and the small town she left in her wake. Cyberwar (2 episodes) 45 mins Cyberwar is a VICELAND documentary series in which reporter Ben Makuch travels the world to meet with hackers, government officials, and dissidents to investigate the ecosystem of cyberwarfare. Two episodes will be shown. Banking on Bitcoin 90 mins Bitcoin is the most disruptive invention since the Internet, and now an ideological battle is underway between fringe utopists and mainstream capitalism. The film shows the players who are defining how this technology will shape our lives. 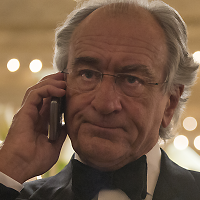 Wizard of Lies 130 mins The great Robert De Niro is America’s most notorious real-life Wall Street fraudster - Bernie Madoff - in this dramatisation of Madoff’s deceptions, lies, and unsuccessful cover-up before his fall from grace. In a Golden Globe-nominated performance, Michelle Pfeiffer plays Ruth Madoff, whose life comes crashing down along with the Ponzi scheme of her husband. Cyberwar (2 episodes) 45 MINS FREE TO ATTEND. Cyberwar is a VICELAND documentary series in which reporter Ben Makuch travels the world to meet with hackers, government officials, and dissidents to investigate the ecosystem of cyberwarfare. Two episodes will be shown. 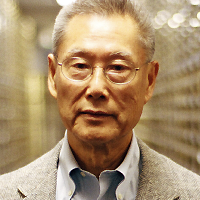 Abacus: Small Enough to Jail 90 mins A small financial institution called Abacus becomes the only company criminally indicted in the wake of the United States' 2008 mortgage crisis. 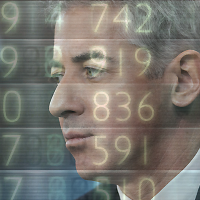 Betting on Zero 100 mins Follows billionaire hedge fund titan Bill Ackman and several former Herbalife distributors after Ackman takes a billion dollar short position in Herbalife, alleging it is a pyramid scheme destined to collapse. The film also chronicles Ackman's feuds with Herbalife CEO Michael Johnson and investor Carl Icahn, & resulting controversy over both the short and Herbalife's business practices. The Armstrong Lie 120 MINS Documentary maker Alex Gibney sits down with Armstrong just three hours after his infamous Oprah Winfrey confession to probe the disgraced athlete’s motivations and self-justifications, and put the psychology of deceit under the microscope. The remarkable result, The Armstrong Lie, depicts the seeming unrepentance of a highly competitive man, whose ability to con the planet seemingly provided similar thrills to being world champion. Tickets are now available for purchase by clicking on the links below. Note that the first session of Day 2, Cyberwar is free to attend. To reserve seats for this session, you can contact us at nzifff@gmail.com. As New Zealand’s largest litigation firm we regularly see the often devastating consequences of fraud. Any initiative that shines a light and increases transparency on the serious effects of fraud in New Zealand, and delves into the ways we can prevent it, has our full support. 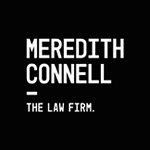 Meredith Connell is proud to be a founding sponsor of the New Zealand International Fraud Film Festival. Deloitte is very proud to be one of the founding partners of the New Zealand International Fraud Film Festival. Collaborating with our public and private sector industry partners, we believe that this festival provides us all with a unique forum to engage directly with the realities of fraud, to innovate together across sectors, and to ultimately make a difference through better prevention and detection – and why not have some fun along the way! Our Forensic Team delivers leading financial crime advisory and investigation services that are totally focused on improving protection from financial crime risks and responding when issues arise. With 33 full time experts working in the fields of Counter-Fraud, Anti-Bribery and Corruption, Anti-Money Laundering and Cyber-Crime, our wider Risk Advisory team is firmly committed to improving New Zealand organisation’s defence from financial crime risks. We look forward to joining forces with our partners and festival participants again this year to find new and innovative ways of fighting fraud together. 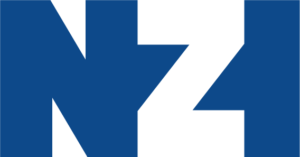 NZI is one of New Zealand’s largest and longest standing insurance companies. For 159 years, we’ve protected Kiwi businesses in all lines of work, in all parts of the country, through good times and bad. Today, that includes helping businesses deal with the consequences of a cyber event. With NZI’s cyber insurance, businesses have the confidence of knowing that if something happens, they can access a 24/7 emergency helpline, along with expert help to fix the issues arising from a cyber event and the resulting legal liability incurred. We even cover the loss of revenue and help minimise any damage to professional reputation. Recent research of 200 New Zealand business leaders showed that while they’re becoming increasingly concerned about connectivity, they’re doing little to protect their businesses should they be hit by a ransomware attack. We’re delighted to support the New Zealand Fraud Film Festival, to raise awareness of the effects that fraud and cyber-crime have on communities and businesses, and how to mitigate it. For more information, visit nzicyber.co.nz. The SFO is the lead law enforcement agency for investigating and prosecuting serious or complex financial crime, including bribery and corruption. The presence of an agency dedicated to white collar crime is integral to New Zealand’s reputation for transparency, integrity, fair mindedness and low levels of corruption. New Zealand’s cultural, social and financial landscape is rapidly changing and this potentially increases the threats. To counter challenges in our environment, the SFO believes that one of the ways to prevent financial crime is by educating and interacting with the community which is why we support the New Zealand International Fraud Film Festival. Transparency International New Zealand welcomes you to this festival of ideas aimed at shining light on the dark places that hid knowledge and inhibit our ability to prevent fraud and corruption. Our shared vision is a world with trusted integrity systems in which government, politics, business, civil society and the daily lives of people are free of corruption. We are honoured to once again be a partner of the second New Zealand International Fraud Film Festival, which aims to raise awareness about the impact of fraud and corruption on our society. ACC’s vision is to create a unique partnership with every New Zealander to improve their quality of life by minimising the incidence and impact of injury. To achieve this, ACC must have efficient and effective systems, processes and partnerships in place to help deliver services and bring about better outcomes for clients while maintaining their financial sustainability of the actions. The New Zealand International Fraud Film Festival provides an excellent opportunity to network with other agencies and organisations and share insights in this area. ASB is delighted to again partner with the New Zealand International Fraud Film Festival and collaborate with other businesses from the public and private sectors, to raise awareness of the potential impact of fraud and cybercrime, and to help strengthen the networks that fight them. Dave Clark Design has a long history of working alongside the financial services industry. Our interest in designing for this unique industry has taken us increasingly into the digital space, where an awareness of the over growing impact of cybercrime – and how to combat such insidious activities – is paramount. Through our interface and user experience (UX) design processes, we ensure the platforms we design are not only beautifully crafted an intuitive, but also as robust as possible. We believe our attention to quality and ease of use, whilst not directly attacking cybercrime and fraudulent act ivy, nevertheless makes it harder for these illegal events to happen. We’re really excited to work with Ian and his team to promote the New Zealand International Fraud Film Festival. Here’s hoping the festival will continue to succeed and grow for many years to come. The Financial Markets Authority is the independent crown agency tasked with maintaining fair, efficient and transparent markets for New Zealanders. We are both guard dog and guide dog for the financial markets. We enforce the law when that is required but we also ensure consumers are well informed about the risks and potential scams that can occur within, and at the edges, of the regulated markets. Taking part in the New Zealand International Fraud Film Festival is an important way to raise awareness about the impacts of fraud. It’s important to bring these issues to life, to stimulate debate, and find ways to combat fraud and scams. The 2018 Anti-Fraud Award recognises a person, organisation or initiative that demonstrably distinguishes itself in the fight against fraud, setting an example and a source of inspiration for others. The winner of the Anti-Fraud Award 2018 will be announced during the evening programme of 2nd March at the New Zealand International Fraud Film Festival. Nominations for the award will be assessed by the Anti-Fraud Award Committee, comprised of individuals who have experience in fighting fraud. The Anti-Fraud Committee will decide which nominee qualifies for the award. Do you know a person, organisation or initiative that, in your opinion, demonstrably distinguishes itself in the fight against fraud and is an inspiration to others? If the answer is yes, we would like to invite you to nominate this person, organisation or initiative for the Anti-Fraud Award 2018. You may also nominate yourself if you feel you meet the criteria. Please answer the following questions in your submission. There is a 400 word limit for each of the following questions. Please try to use the minimum amount of words to enable us to assess your entry effectively. How did the person, organisation or initiative distinguish itself in the fight against fraud? e.g. innovative techniques, courageous actions taken. What visible or demonstrable results were achieved? Why is this person, organisation or initiative an inspiration to others? Please include your name and contact details, along with the name and contact details for the person or organisation you have completed the submission for. You may choose to submit an accompanying PowerPoint presentation, or video clip, no longer than 3 minutes. Please email your submission to nzifff@gmail.com. Entries close on Tuesday 20 February 2018 11.59pm. The Fraud Film Festival will produce a short video for the three finalists. The videos will be played at the Fraud Film Festival during the award ceremony before the winner is announced. Here is a link to the three finalists from the 2016 inaugural New Zealand International Fraud Film Festival as inspiration! Individual members of the Anti-Fraud Award Committee. The Fraud Film Festival partner organisations can qualify for a nomination. At the end of Day 1, an award ceremony was held to present an Anti-Fraud Award to a worthy recipient. The winner would receive a hand made solid bronze award created by renowned Dutch artist Jeroen Spijkers. Bronwyn Groot from the BNZ edged out a number of high quality candidates through her fraud prevention and ‘scam savvy’ initiative – that focuses on protecting elderly from risks of scams and fraud. The first Anti-Fraud Award was presented at the Dutch Fraud Film Festival, in 2014. The award trophy is designed and created by renowned Dutch artist Jeroen Spijker.